Engine: With machined engine fins and chrome covers contrasting against the deep black barrels and crankcases. Like the rest of the Commander, this engine was designed to have impact on the eye as well as the road. 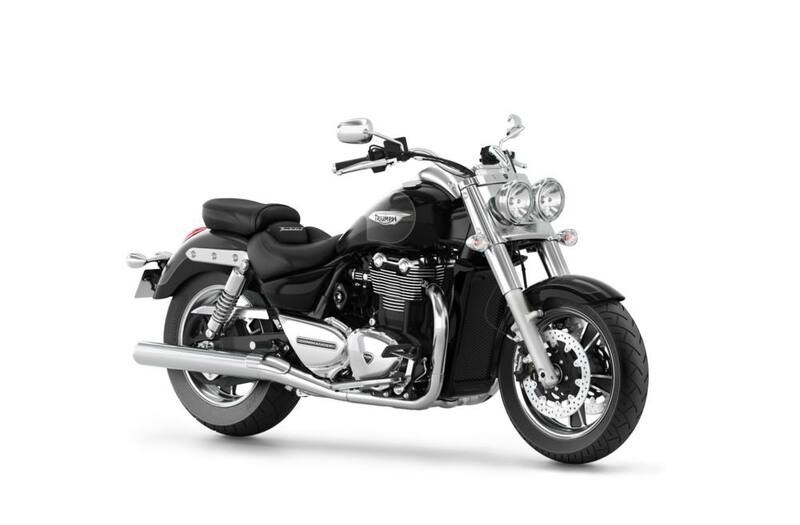 Configuration: Being a Triumph, the Thunderbird Commander is packed full of modern engineering. We added double overhead camshafts and a crankshaft with 270 degree firing intervals, to give you an engine with authentic cruiser character. Whilst the fuelling is looked after by a sequential fuel injection system and progressive throttle linkage so your engine delivers its torque exactly the way you expect. Overview: The world’s largest capacity parallel twin motorcycle engine. As based on the original Thunderbird parallel twin. The beating heart of the new Commander generates an organic, torque-rich riding experience unmatched for sheer grunt and ease-of-use. Performance: Powered by a pair of saucer-sized forged pistons, the 1699cc eight-valve, DOHC engine’s uneven 270° firing interval and long-stroke design produces a potent 94PS (93bhp) at 5400rpm and a huge 151Nm (111 lb.ft) of torque at a lowly 3550rpm, giving the Commander bags of twin-cylinder character. Overview: We used all of our engineering expertise in making the geometry just right, so the Thunderbird Commander steers as beautifully as it looks. Even at low speeds. And it has to be extremely stable when going faster, yet amazingly agile when you ask it to change direction rapidly. So you get a bike that’s responsive, even in the tight, low speed man oeuvres. 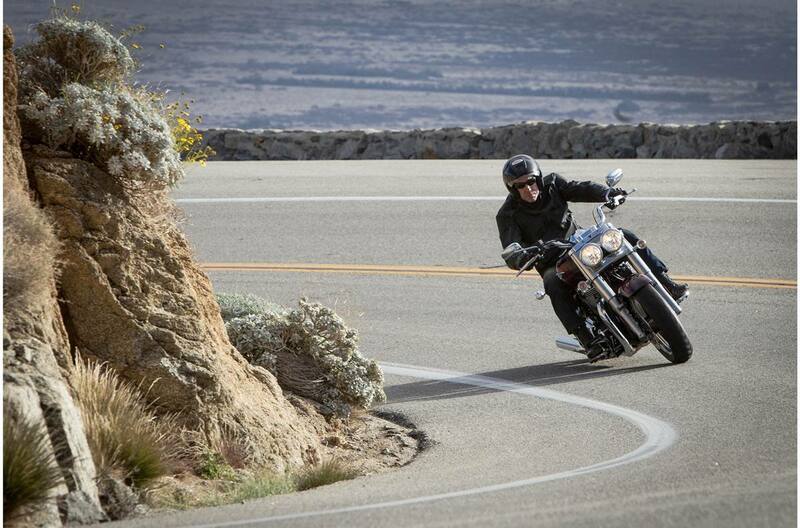 There’s no handling compromise when you choose a Triumph cruiser. We built the Thunderbird Commander to look mean and as well as put a smile on your face. Wheels and Tires: Fat-section 140/75 17-inch front and 200/50 17-inch rear tires running on diamond-turned cast wheels. Suspension: The Commander’s handling is further enhanced by a chassis specification worthy of sportier bikes. It features shrouded 47mm Showa forks, twin 5-way preload adjustable Showa rear shocks, with optimized dual-rate springs, keeping you isolated from bumps but in touch with the road. Brakes: Four-pot Nissin calipers on 310mm floating discs up front and a single Brembo caliper and 310mm disc at the rear. Handling: From the moment you roll forward on the Thunderbird Commander, you’ll notice that handling control is a priority, not an afterthought. Light, neutral steering belies the width of the tires, giving the rider form and function in one package. The parallel twin engine’s compact weight distribution means the centre of gravity is focused in front and below your knees, giving the Commander a gentle, even tilt into turns. Footboards: The Thunderbird Commander gives you high quality foot-boards made from chromed high-pressure die-cast aluminium, featuring replaceable skid plates and an adjustable heel/toe gear lever. Seat: Rider and pillion seat foam is a double-layer, dual-density material, soft and receptive on first feel but compressing to give a firmer, supportive yet pliant ride. The rider’s seat has also been especially shaped with wide, flared sides and a lumbar support to provide maximum comfort even at the end of a long day’s ride. Tank: A massive 22 litres fuel tank with off-center filler cap. Instruments: Tank-mounted dash console including classic analogue-style speedometer, a fuel gauge and an LCD with range-to-empty, twin trips, odometer and clock functions, conveniently scrollable via a handlebar-mounted button.